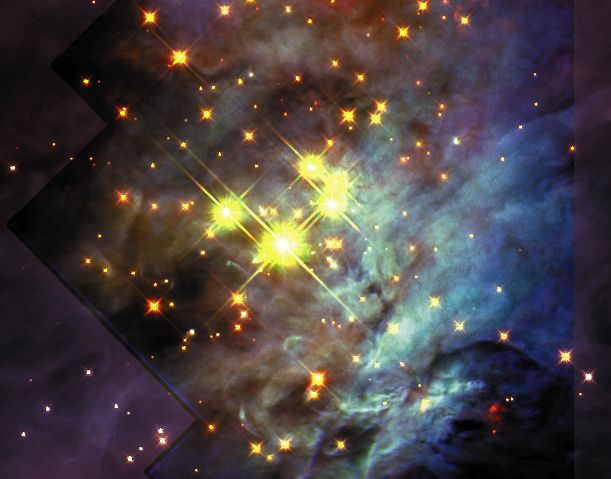 Explanation: The bright stars above are well known as heart of the Trapezium, an open cluster of stars in the center of the Orion Nebula. The many dim objects, however, are not well known, and have come to attention only on recent images in infrared light. These dim objects are thought to be brown dwarfs and free-floating planets. Brown dwarfs are stars too puny to create energy in their core by fusing hydrogen into helium. Although many more brown dwarfs than hot stars have now been found in Orion, their very low masses make them inadequate to compose much of the dark matter expected in galaxies and the Universe. 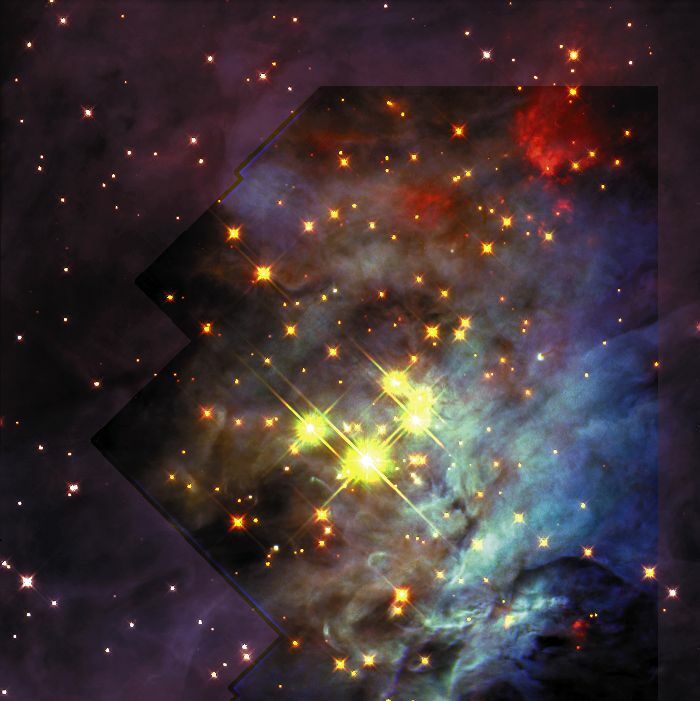 The above false-color mosaic combines infrared and visible light images of the Trapezium from the Hubble Space Telescope. Faint brown dwarfs with masses as small as about one percent the mass of the sun are seen in the infrared data. Also visible are complex lanes of hot gas (appearing in blue) and cooler fine dust that blocks, glows and reflects nearby starlight.